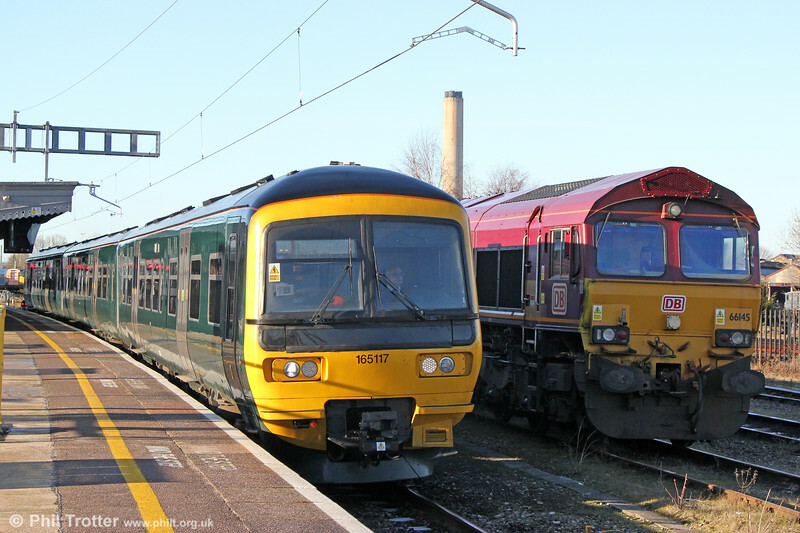 From January 2018, the class 165 and 166 dmus will progressively be replaced on the Paddington-Didcot-Oxford services by new class 387 emus. Here, 165117 departs from Didcot Parkway forming 2L54, 1307 Oxford to Reading on 28th December 2017. DBS 66145 stands alongside.